Taylor Swift - I Knew You Were Trouble, watch music videos from youtube for the song Taylor Swift - I Knew You Were Trouble. The music video began filming on November 18, 2012, in Los Angeles, California. 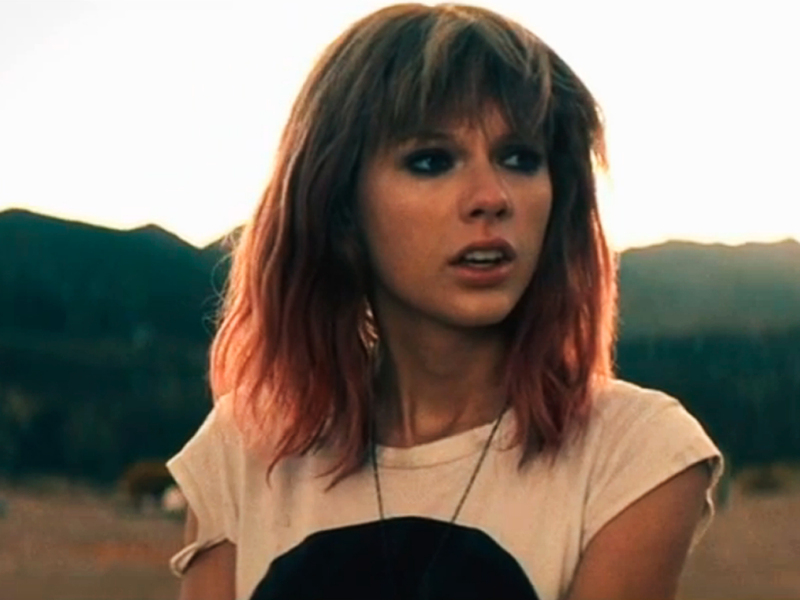 Two days later, pictures from the set surfaced online showing Swift with a more rocker look and pink tipped hair. The video (directed by Anthony Mandler) premiered on December 13, 2012 on MTV as part of the channel's week long celebration for the singer's birthday.Taylor's love interest in the video is played by Reeve Carney who starred in Spider-Man: Turn Off the Dark as Peter Parker/Spider-Man. The video was compared to "Ride" by Lana Del Rey, which also was directed by Mandler and had a "confessional voice over". Rolling Stone magazine highlighted the similarities between the music video and the music video for the Rihanna single "We Found Love".